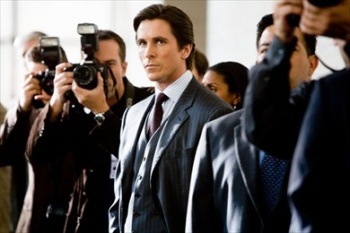 Christian Bale has signed on to star in Nanjing Heroes, Zhang Yimou's film about the Nanjing Massacre. Zhang Yimou is well known as the director of the spectacular Opening Ceremonies to the 2008 Beijing Olympics, but he's more prominently a film director, with such movies as Hero and House of Flying Daggers under his belt. He recently held a press conference announcing production on his newest film Nanjing Heroes, and that Christian Bale will star. Nanjing Heroes is the most recent in a string of Chinese films about the Nanjing Massacre, which occurred during the Second Sino-Japanese War in 1937 and consisted of Japanese troops killing Chinese citizens. Most of these recent films have included the character of John Rabe, a German businessman responsible for saving hundred of Chinese lives. Bale will play an American priest with a similar mission. In his press conference, Zhang responded to questions as to whether Bale's casting was a move to up the profile of the Chinese film, saying, "It's the overall strategy for Chinese cinema to approach the world and broaden its influence but casting Bale was a coincidence because the script happened to have an English-speaking part in the lead." The Hollywood Reporter notes not only will the film be borrowing Batman, but, "Zhang's film will pull in the Hollywood effects team behind Saving Private Ryan and The Dark Knight." Shooting on Nanjing Heroes is set to begin January 10.